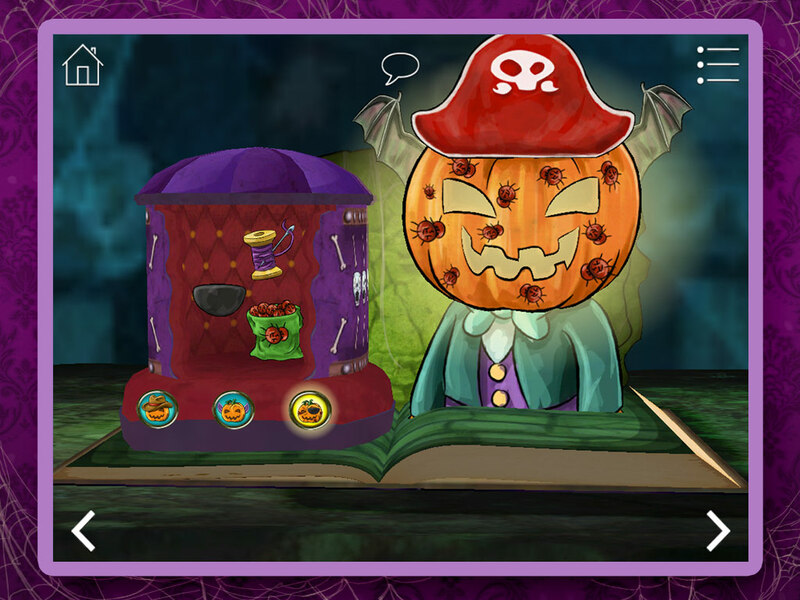 Pumpkin Picker: Spot 10 hidden pumpkins as you search for the Haunted House on a dark and stormy night. 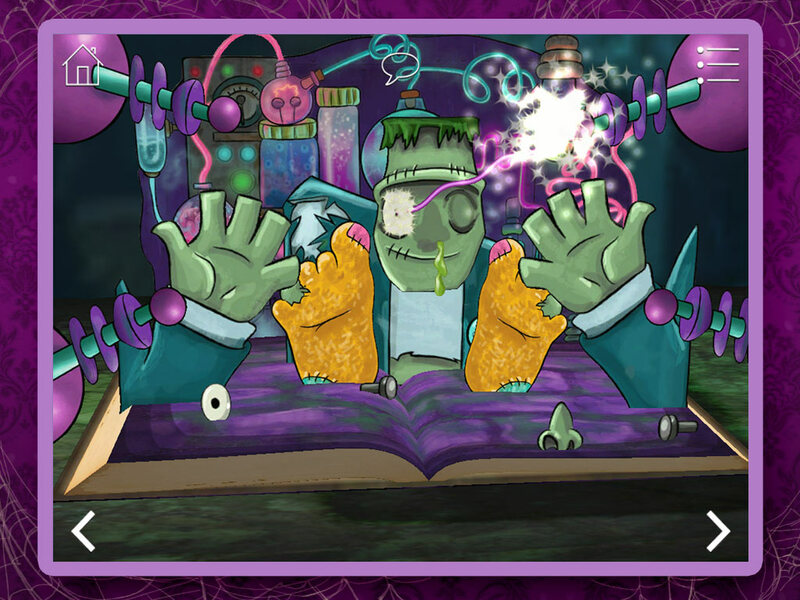 Watch out, there’s a zombie about! 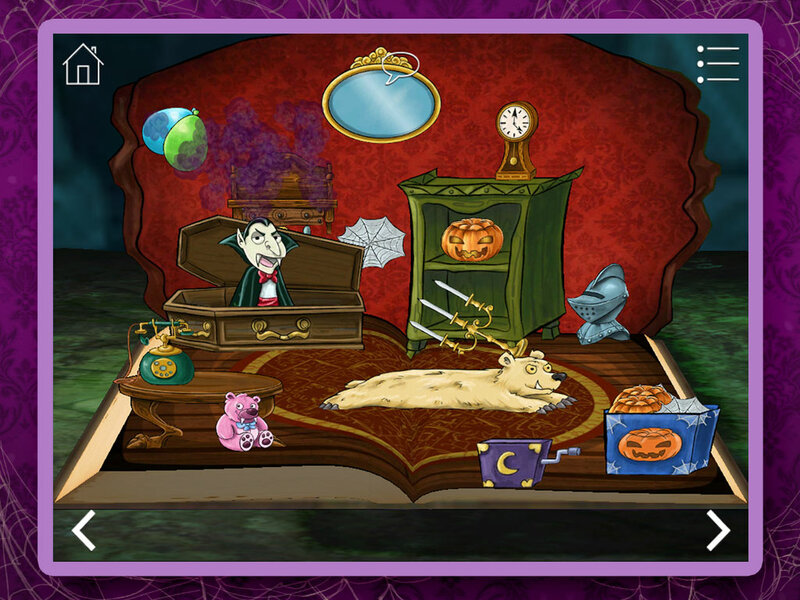 Spooky Dresser: Give Jack O’Lantern a horrible new look for Halloween with bat wings, horrible horns and hairy warts. 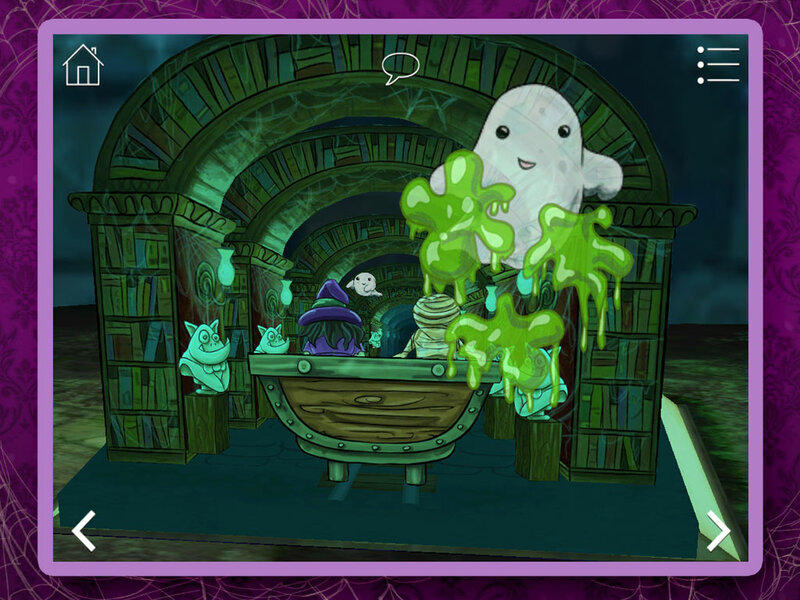 Ghost Whacker: All aboard the Ghost Train for a thrilling ride. 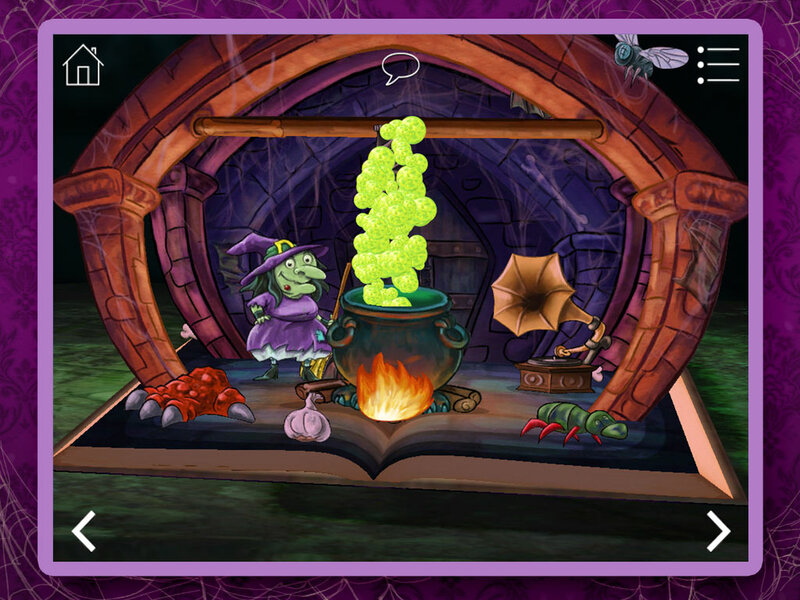 Help Wilma the Witch and the Mummy whack ghosts ~ but don’t get slimed! Monster Hunter: Feeling brave? 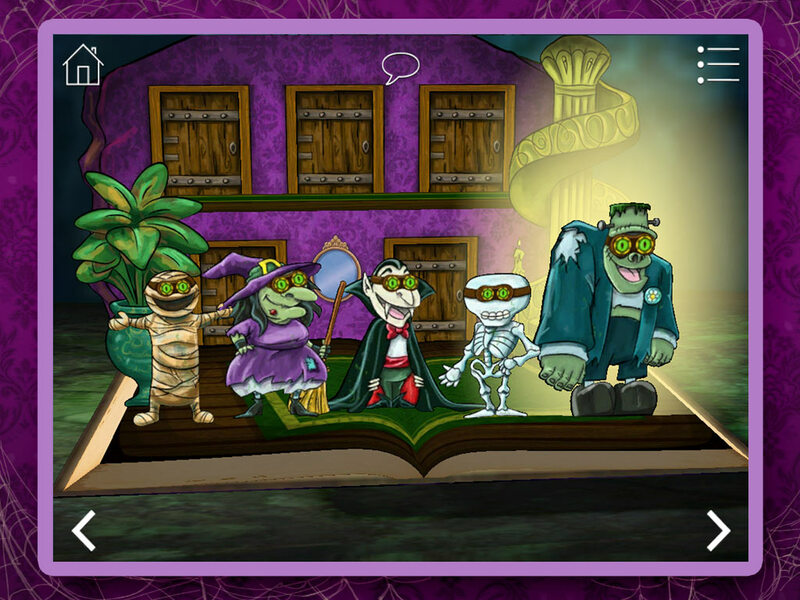 Then play a game of monster hide and seek in the dark! Creepy Crawler: Put up some Halloween decorations, but tread carefully. 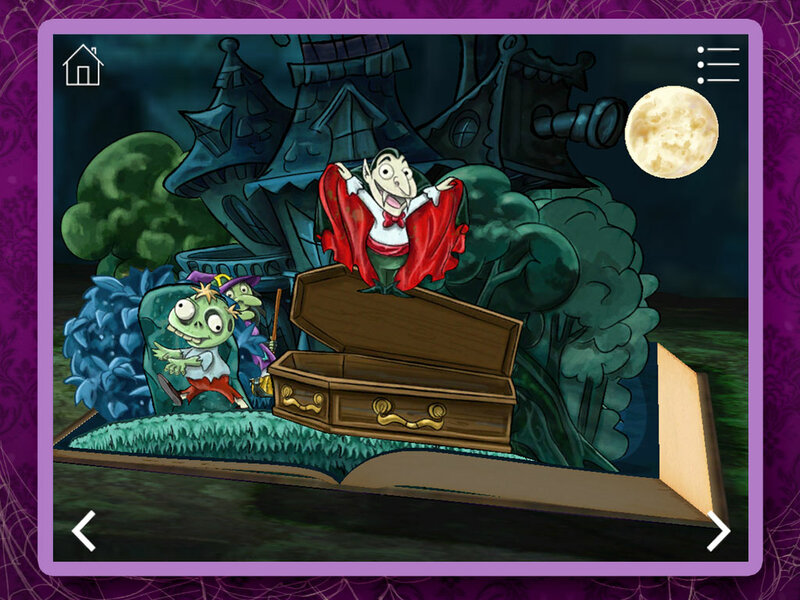 One false move and you’ll wake up Uncle Drac!